Paris is one of those iconic cities! I’ve never had a crazy urge just to visit Paris, but there was no way I could do a trip to Europe and bypass it. I had many preconceptions in my head. Paris is the city of romance. Time should be spent sitting at a table outside a little picturesque cafe on the banks of the Seine sipping coffee and eating croissants. French men in striped shirts and berets with a tiny moustache should be waving baguettes around saying “oui, oui!” (okay, maybe that was too far!). So imagine my disappointment to emerge from the metro in the 19th arrondissement to discover Paris is nothing like this! At least, not in this area! Oh, I know real life is not like the movies, I just hadn’t done enough research on the area I had booked my accommodation in. Sure, it is cheap, but quoting Wikipedia, “This sector has become the home for many immigrants to France, particularly from North Africa.” While Wikipedia isn’t always the best source of information, I would happily agree with this. The area is also rundown, and while it didn’t quite feel unsafe, there was little to attract me to this neighbourhood. It didn’t improve an awful lot as we checked into our hotel. The security guard inside was the size of a tank! As we got into the lift we got our first whiff of smoke. As the lift doors opened again we were almost knocked over by the smell in the hallway on our floor. In our so-called non-smoking room the smell was still strong, the only godsend being a window that could open. The freezing air and street noise was preferable to the smoke! Our room was tiny so it was only a few minutes before we were discussing heading out. We had noticed that we had passed the Louvre on our Metro line, so decided to head there to have a look around. It was late afternoon by this stage, so we decided against going inside as we wouldn’t have time to look at everything, and also we had spent half a day at the Rijksmuseum only the day before. 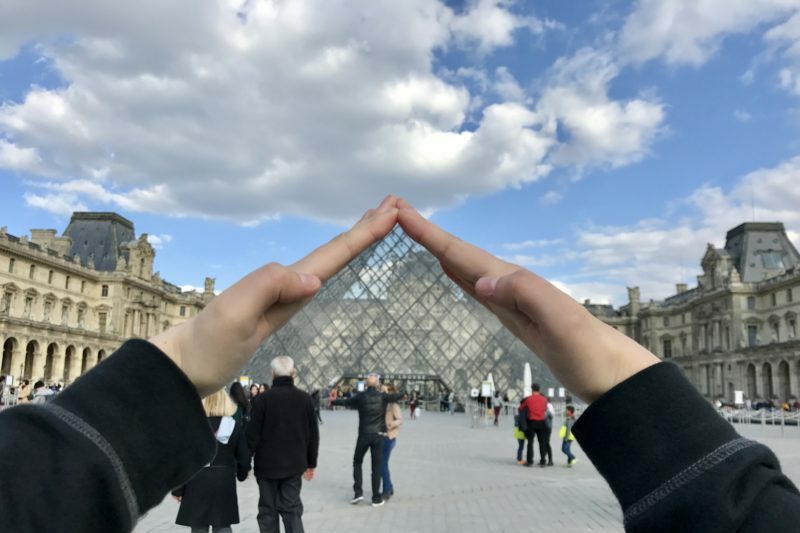 Even though I knew it was big, the size of the Louvre still surprised me. It is simply huge! I can see how people say it can take days to visit it thoroughly. We looked around the courtyard, taking some photos with the pyramid and then went off in search of food. We didn’t try to do the usual touch-the-top-with-your-fingertip pose everyone else was doing, but we did this! 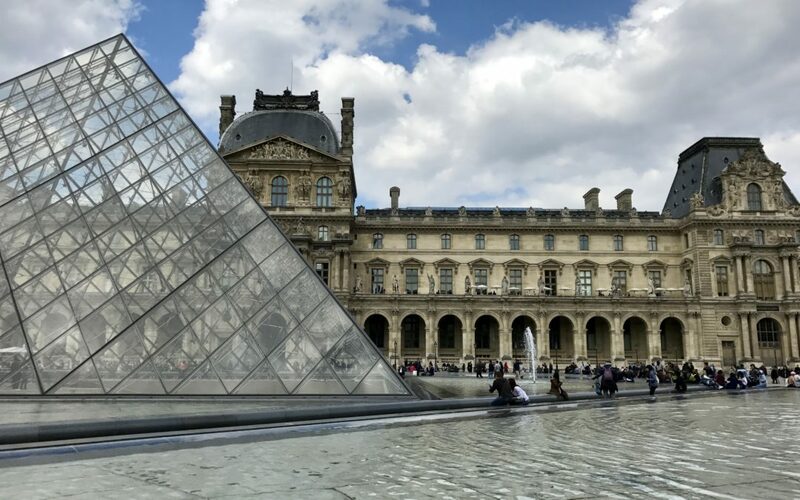 Our search took us towards the Paris opera, Palais Garnier, and then we walked with our mouths hanging open in awe from one stunning building to the next, going to the Place de la Concorde and walking back to the Louvre through the Garden des Tuileries. As avid Tour de France watchers, we knew the cobbles of Place de la Concorde was part of the last stage. 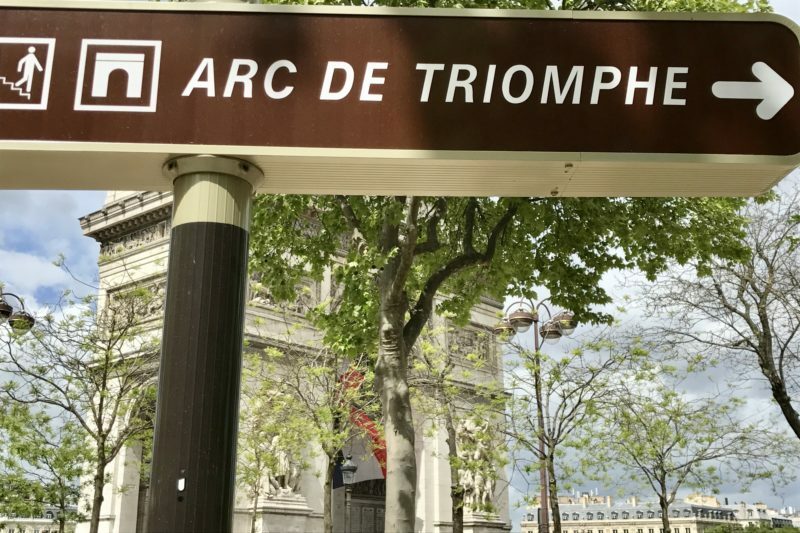 The Tour loops back and forward between here and the Arc de Triumphe nine times before reaching the finish line for the last time. 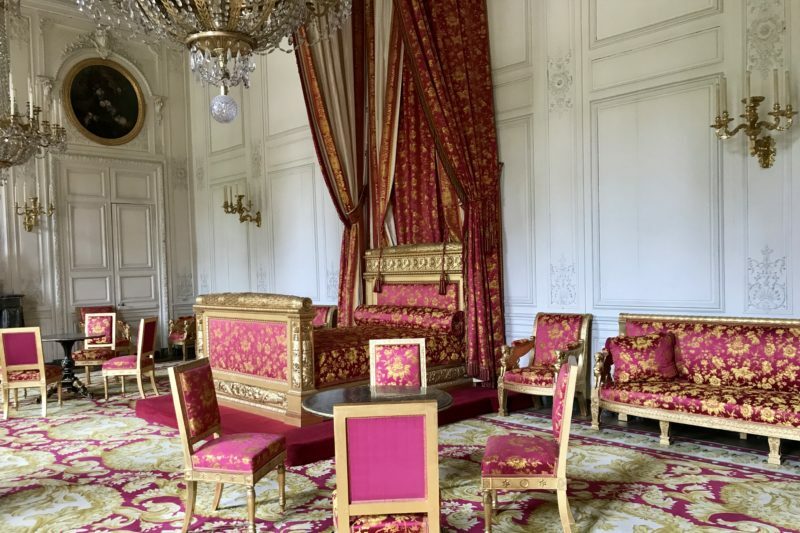 The Palace of Versailles was next on the agenda. 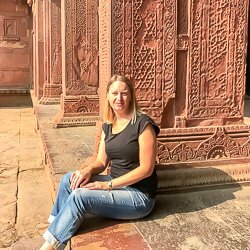 I knew that we needed a full day to explore both the palace and gardens, so we planned to leave early. We were a little later than I had hoped to get out of the hotel because we went down to see what breakfast was like. It wasn’t great, but without anything else planned, we had a coffee and some croissants anyway. We inadvertently got away with not paying for it because I was asked if I was part of the group. I thought she meant our group of four, but I later discovered there was a bus tour group staying in the hotel. We weren’t charged on checkout, so free breakfast! Already running late, the train again took longer than the online planner had told me and in the end we arrived at Versailles at about 10:00. 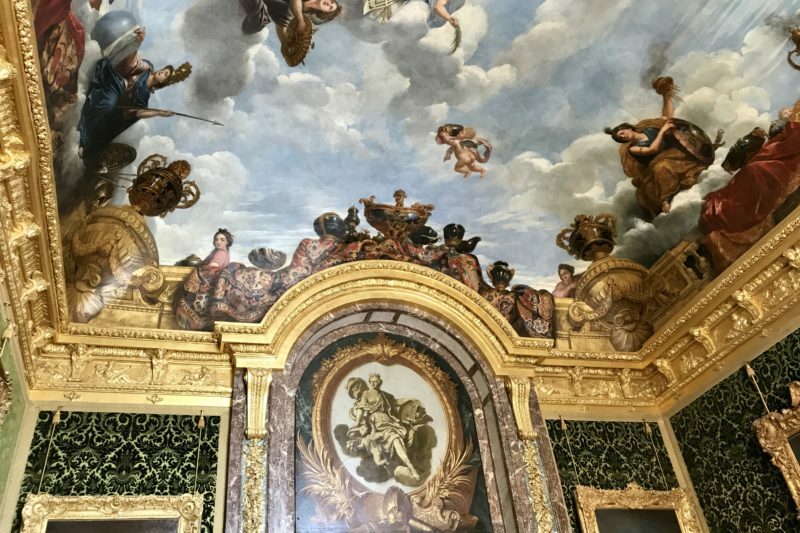 If you are planning to ever go to Versailles, I cannot recommend strongly enough, get there by nine! We had to line up to get our tickets, then discovered there were vending machines with no wait hidden away in a corner. Tickets in hand, we head towards the courtyard melee, to discover that it wasn’t just people everywhere, it was actually the line weaving back and forth eight times. The official at the end of the line told someone else it would be about a 2 1/2 hour wait! I nearly died. Surely I have heard him wrong. No, it was 2 hours, twenty minutes later when we finally stepped through the gates! 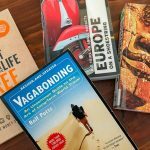 I was thankful I had taken my iPad with me that day, because I was able to write two blogposts while standing in that line! 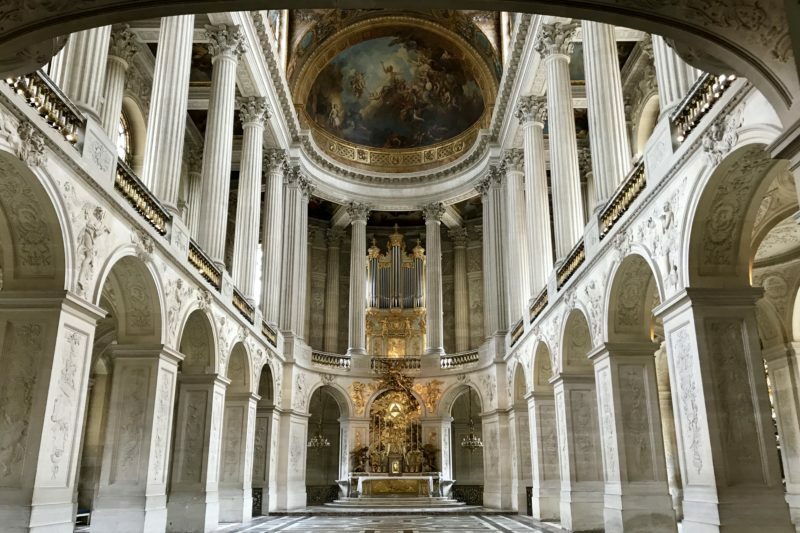 What can I say about Versailles? The place is simply spectacular. The extravagance really does have to be seen to be believed. Who can blame the people for the revolution when this is how the nobles were living while they were starving! Inside the palace the crowds were shoulder to shoulder. It was really too crowded to see things properly or to have time to read the placards before being swept along with the tide. Photos were difficult at best, sometimes impossible. And there was no way to get a whole room or anything below head height. Every single inch of each room is decorated. The ceilings are mind-blowing. Once in the gardens we could breathe again. The gardens are huge. The map says it’s a 3.5km walk from the palace to the far end of the canal. 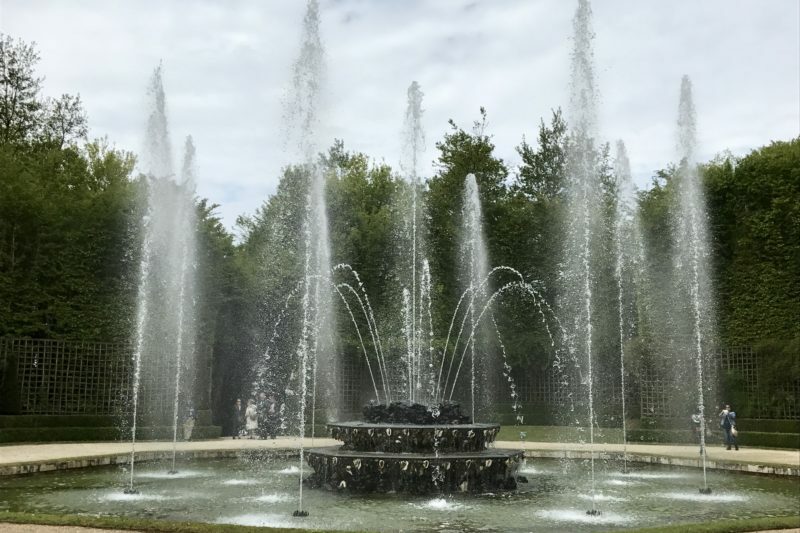 We did walk around and look at many of the different fountains and areas, but soon time was getting away from us and we still had the two smaller palaces of Trianon to visit. Not sure which fountain this is, but it looks pretty good when it’s working. 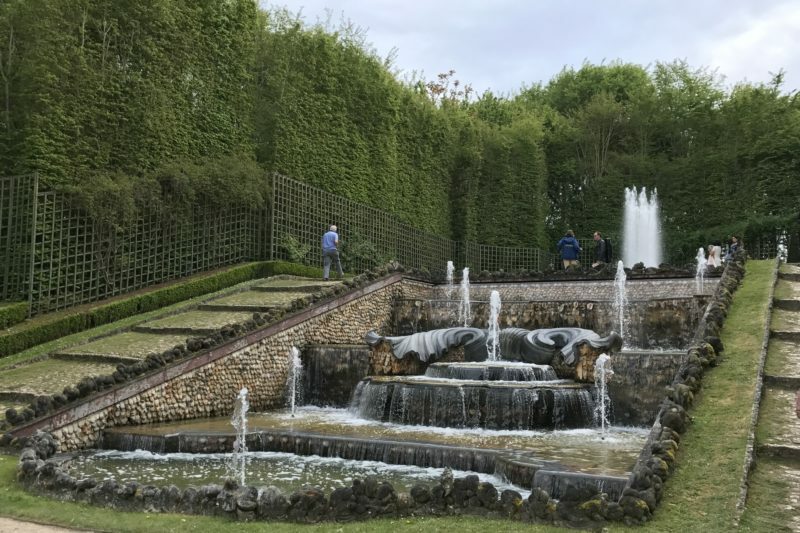 Walking around Versailles was our choice, but there are other options. We saw lots of people driving golf carts around, and there was also a little train to help get from one area to another. As we started our final walk back to the exit, the heavens opened. The winds picked up and we got soaked. Simon and I luckily had our waterproof jackets on so our top halves stayed dry, but our legs were wet, and all four of us had a soggy 90 minutes ride back to Paris on the train. 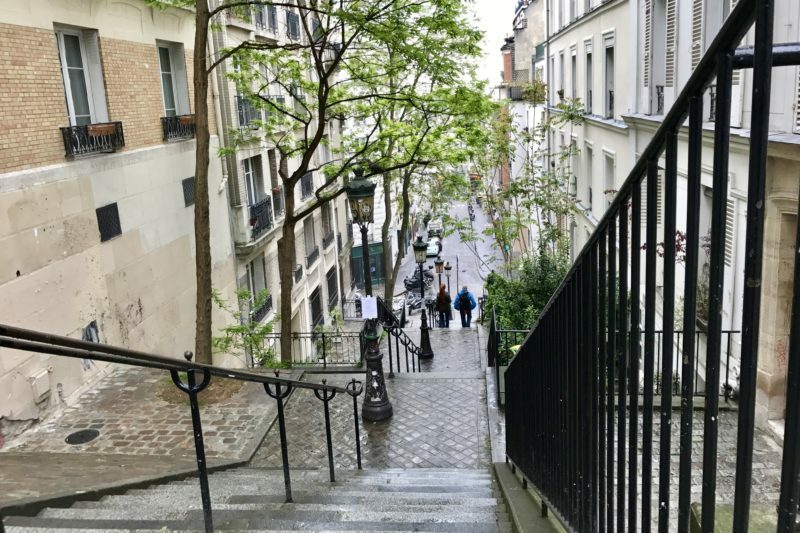 The next morning we woke up to wind and rain, but eventually our stomachs won the battle and we ventured out into the streets of Paris. After refuelling, we walked along the Champs Elysees up to the Arc de Triomphe. Even though we had just eaten, we just had to try out the crepes from a street vendor. As we walked along we started to notice that even though it was early afternoon on a Monday, most of the shops were closed. We eventually worked out it was a public holiday. 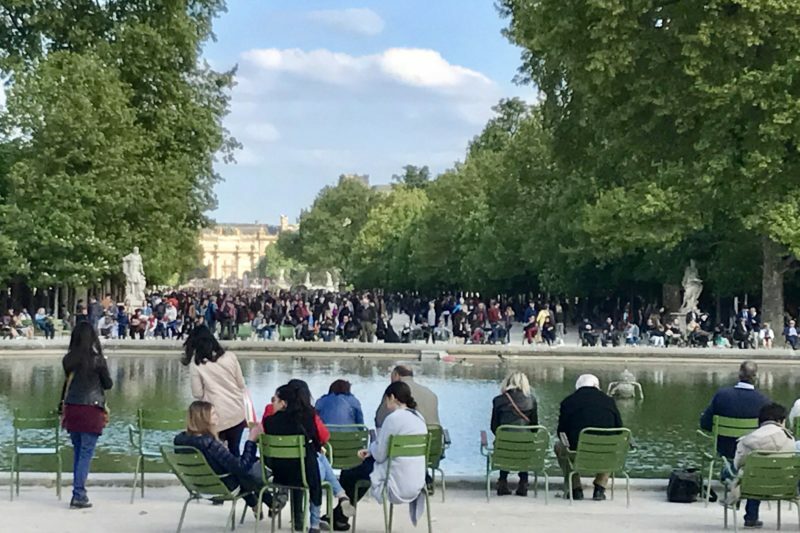 I knew some places in Europe had a holiday on 1st May, but it had not occurred to me that Paris also did. We Googled later in the day and discovered it was Labour Day. Most museums are shut on Mondays, so even less was open. Our plan now was to walk around and see all the sites we wanted to see but not necessarily go inside of. After the Arc de Triomphe we walked to the Eiffel Tower. Simon was the only one keen to climb it, and once we saw the lines, he changed his mind too. It was nice to relax in the park for a little while, and we cheered a little as the clouds blew over and some weak sunshine appeared. Eiffel Tower and the carousel, which is almost as iconic. We strolled along the banks of the Seine to the Latin Quarter before finding a little French cafe for a late lunch. 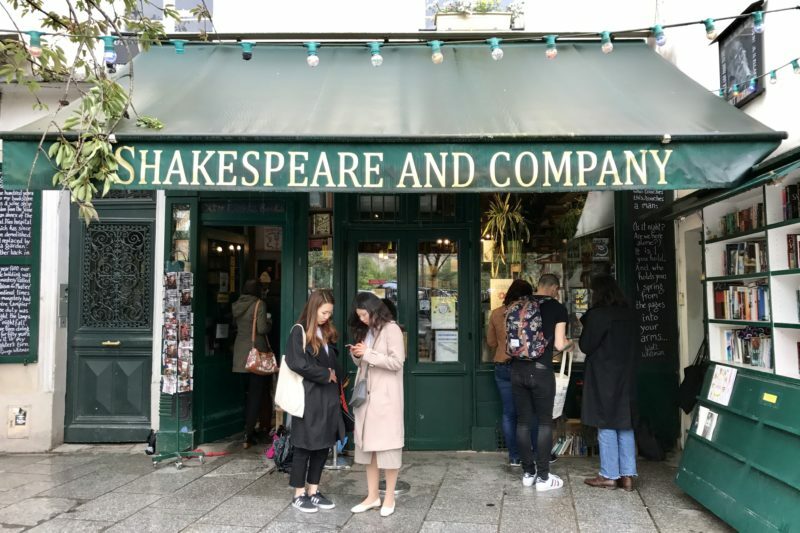 We were heading to one of my must-see places, the iconic Shakespeare and Company bookshop. When we got there of course it was closed due to the public holiday. As my kids said, probably for the best since I didn’t have room for more books anyway! 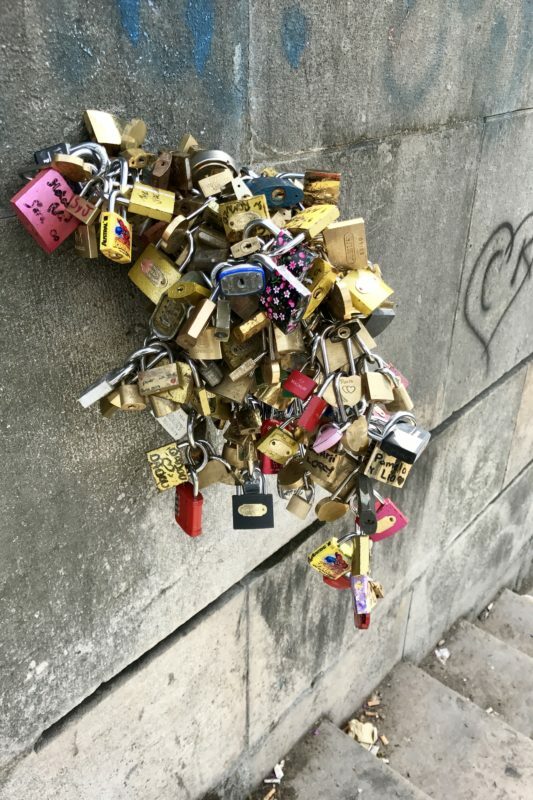 Bridges are so last year – let’s just attach our locks to each other on the wall near the Seine. Notre Dame was next. The famous cathedral was swarming with visitors both inside and out. We had inadvertently timed our arrival to coincide with the start of a service. The stained glass windows inside were absolutely stunning but the amount of people pushing and shoving to take photos while the service was on felt a little disrespectful to me. I was actually elbowed out of the way when a tour group decided they all wanted to take the same photo that I was trying to take. 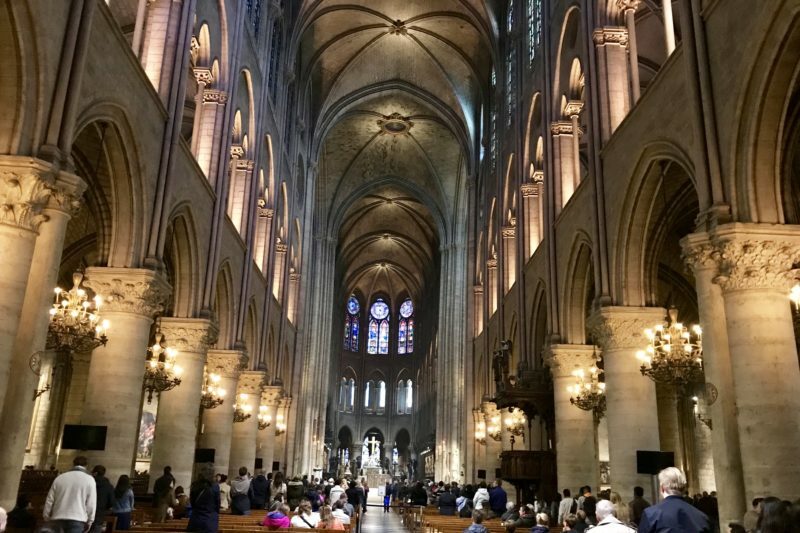 The inside of Notre Dame. Can’t see much of the stained glass from this angle though. On our way home the train terminated the station before ours with an announcement only in French. As we made our way out we were met with riot Police, who again spoke only French. My schoolgirl French was not up to the task, and all we figured was we couldn’t go the way we wanted and had to use a different exit. We emerged into lots of people walking around with placards. It suddenly dawned on us that French elections were only a few days away. Was this a protest? A demonstration? It was like it had finished though and they were all going home. There was a huge police presence and we didn’t really feel unsafe. We just walked the couple of hundred metres to our hotel with no issues. Other areas of Paris weren’t so lucky with riots and people injured. 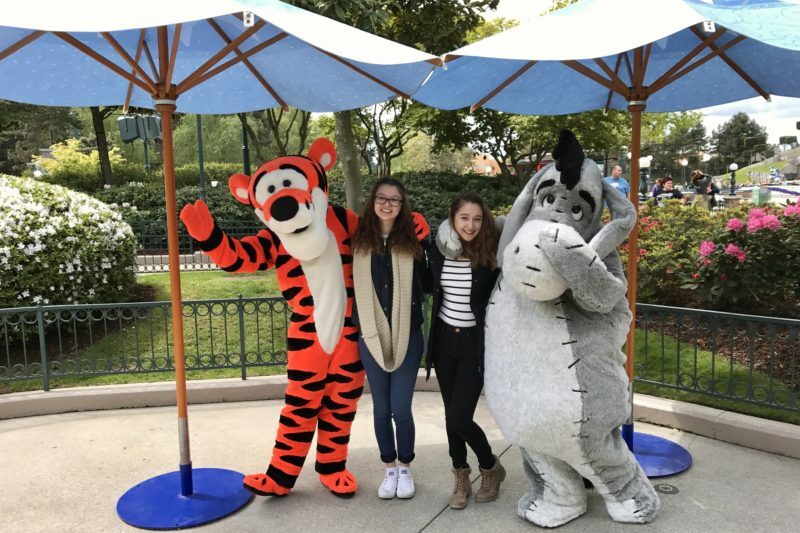 Day four in Paris was Disneyland! 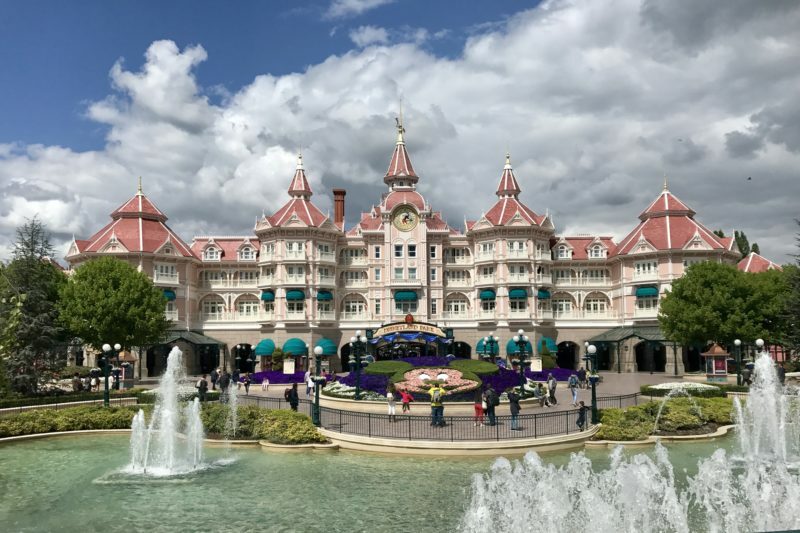 As soon as I mentioned that we would be going to Paris MacKenzie requested two days at Disneyland. I negotiated it down to one day because there is too much other stuff to see. We have also been to Disneyland Hong Kong, and many of the rides were doubled up with those. 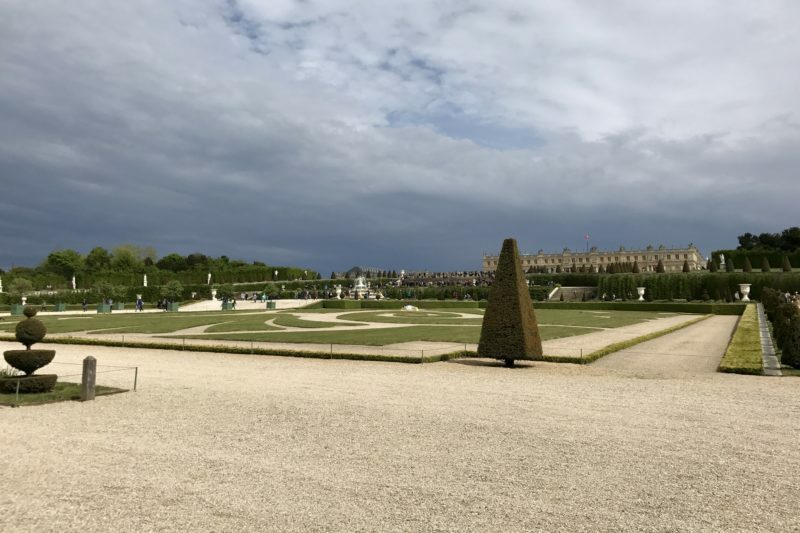 We had learnt from our Versailles experience to arrive early, so we were there as the gates opened. It was only a few minutes before the gates shut again when we left. Twelve hours at the “Happiest Place on Earth”. 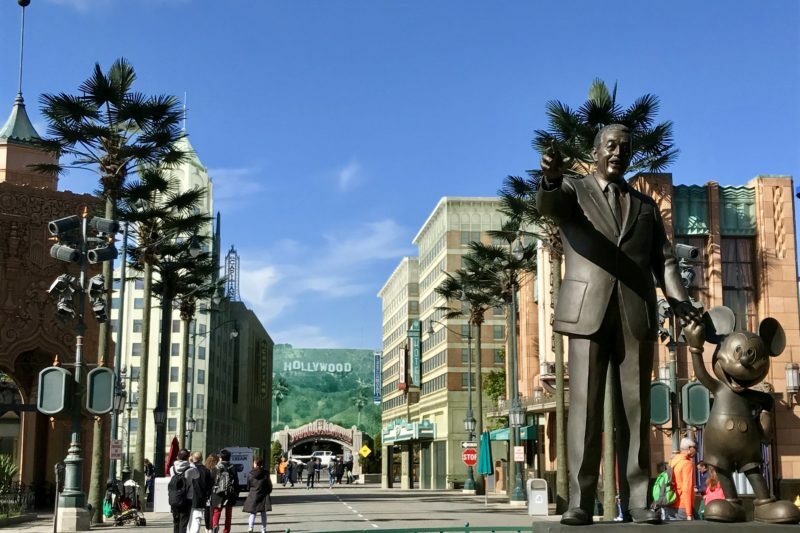 In hindsight two days probably would have been better, or we should have not tried to go to both Disneyland Park and the Walt Disney Studios Park. We had a great day, but boy were we busy. We’re not really a rides family. 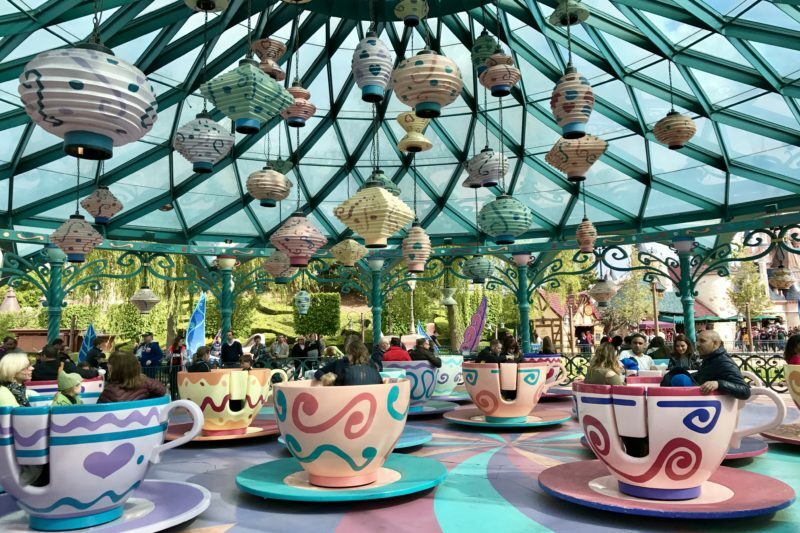 Anything more vigorous than the teacups is too scary for Bailey, and Simon gets really bad motion sickness. We did go on most rides though, since there aren’t too many big rollercoasters at Disneyland. Wait times at most rides were around 15 minutes, but some we saw were up to 45 minutes. MacKenzie and I braved the Indiana Jones and the Temple of Peril roller coaster. There were a few moments of doubt when we neared the front of the line and saw that there was a well hidden 360° vertical loop! 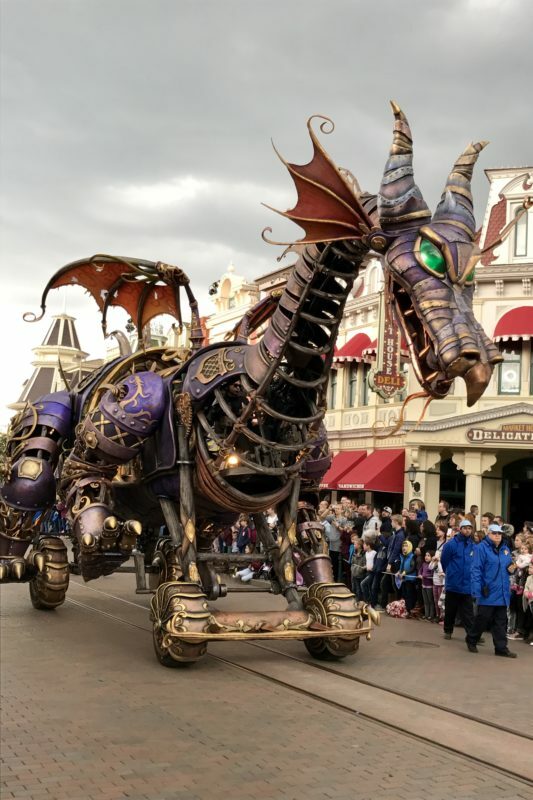 The dragon in the parade. We had one full day left in Paris and it was again raining. Still, our room is not big enough to stay in, so we don the wet weather gear again and head out. Firstly we stop past the Galleries Lafayette shopping centre to look for something in the Disney store. The building is stunning, and was worth the visit just to check it out. 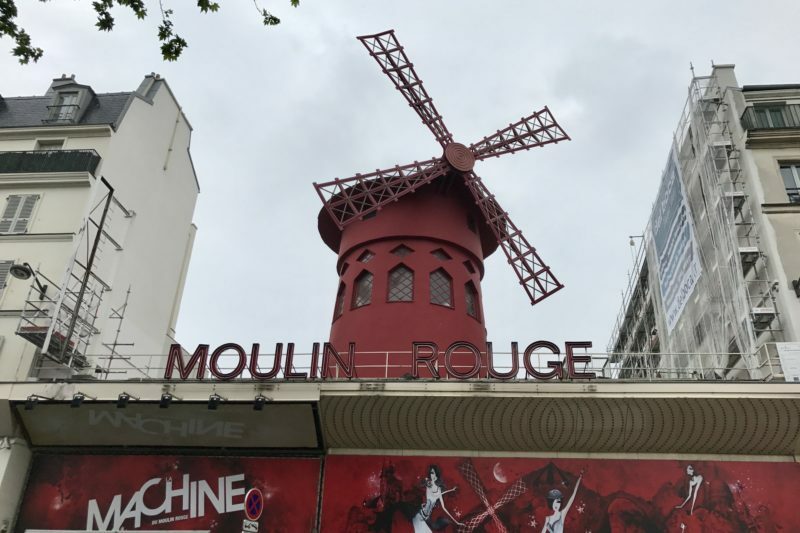 It’s not too far to walk to have a look at the Moulin Rouge, but the constant drizzle while we walked made it seem twice as far. And of all the things we have seen in Paris, the Moulin Rouge was the most disappointing. Seriously, unless you are going to a show, don’t waste your time. Another walk saw us at Sacre Coeur. Google Maps hadn’t mentioned though that quite a bit of the walk was stairs up the side of the hill. Of course we only found the cable car once we got to the top! 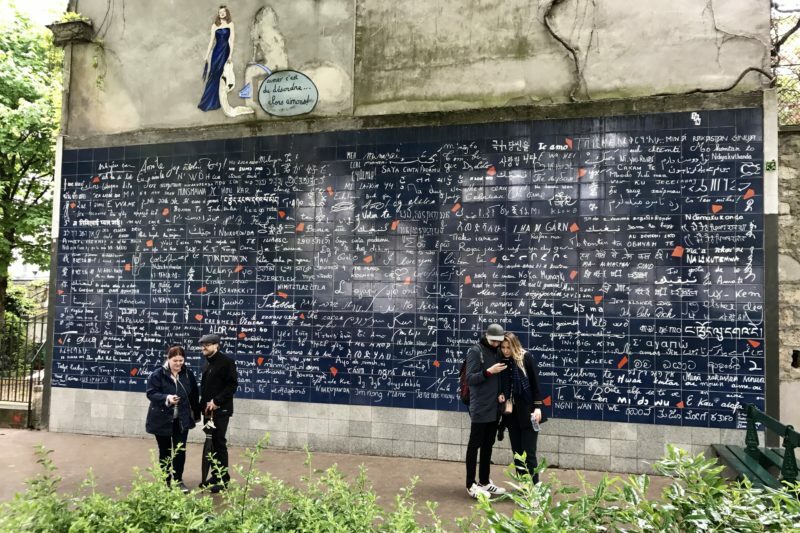 There is a nice piece of artwork on the way where “I love you” is written on a wall in 311 languages. It seems popular with couples as they posed in front of it for selfies. Sacre Coeur is another stunning church. I really do have a fascination with stained glass windows, and here I was again staring open-mouthed. Unfortunately no photos were allowed inside – although you would not have known it from the amount of people taking them. 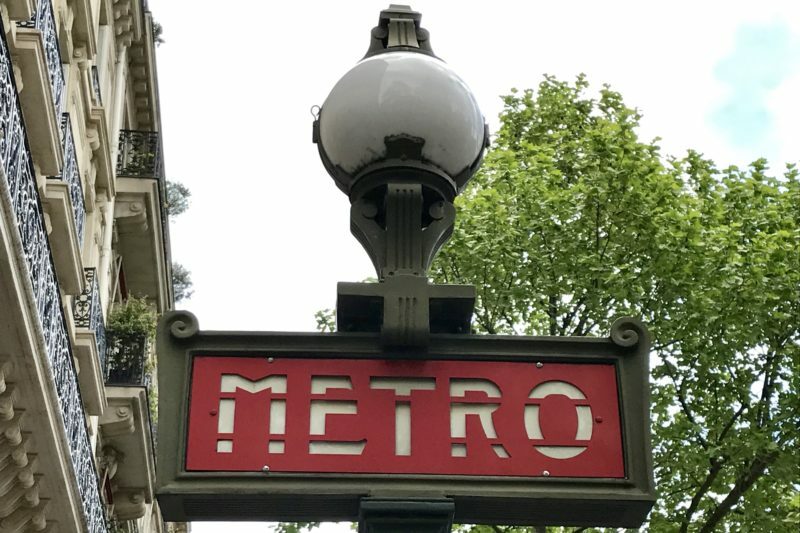 We jumped on the Metro to head across town to visit the Catacombs of Paris. We emerged from underground to pouring rain. Luckily it wasn’t far to the catacombs, unluckily, the line up was about thirty minutes long! We stood there in the rain chatting to some lovely ladies from the US/Canada, which at least made the time go quickly. 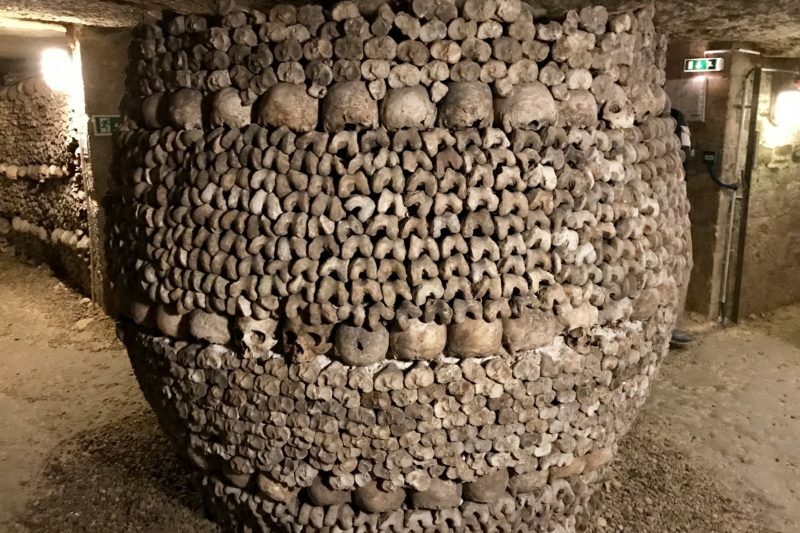 The Catacombs of Paris house the bones of around six million people. They were put there in the 18/19th centuries, dug up as the cemeteries overflowed. 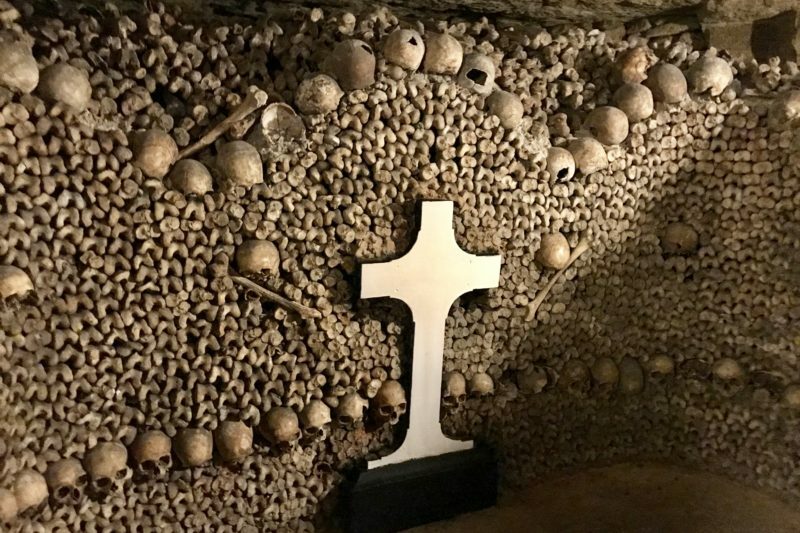 If that weren’t macabre enough, the bones were placed in decorative patterns. Unfortunately I found the visit here a little unfulfilling. Once we got to where the bones were, there was a traffic jam of visitors. Look at anything for an extended amount of time was hard. It was quite dark, so if someone else stood between the light and what you were reading it was hard to see. It was also a challenge not to stand in someone else’s light while they were trying to read or take photographs. I’m not sure if it is always like this or we were unlucky because everyone was trying to escape the rain. As we walked back towards the Seine to find somewhere to eat the drizzle continued. There was one more place to visit, although I was sure I was too late. My luck had turned though, and this time Shakespeare and Company was open! We spent some time browsing, and I could have spent some serious money! 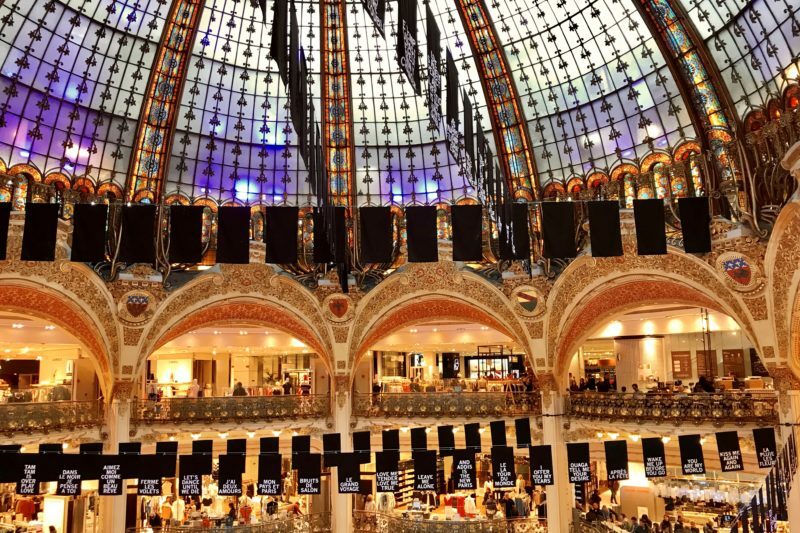 I restrained myself though, with the thought that I will be back in France in April next year – I can spend up big then! I didn’t love Paris. It was okay, I had fun, and there is a lot to do and see. In fact we barely scraped the surface. I won’t be rushing back to Paris, but will happily stay a couple of days if passing through. I will definitely stay in a different area next time, perhaps in the Latin Quarter. Maybe being able to walk out my door and enjoy the surroundings without getting on the metro may change my mind. Talking about the metro, I have to say the public transport system is extensive and easy to use. 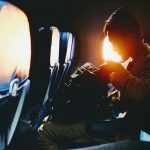 We did have one issue on our last leg to the airport as the ticket machine would not accept our credit card (all the others had been okay for our whole visit) and we didn’t have enough coins to buy the tickets. We had to get to the airport since I was not going to test out Easyjet’s deadlines, so we jumped on the tram with no ticket. About two stations down the line some ticket inspectors got on. Oh crap! We were just waiting for our turn, but the guy sitting just in front of us had some issue, and after much debate, they all got off the tram with the offender. Boy did we breathe a sigh of relief! Trying to decipher French signs, the fine was around €80. Each! While cheaper than Oslo, I did not find Paris cheap. I suppose I would liken it to what we would pay for things in Australia. Food is always our biggest expense, and we juggled supermarket snacks with trying to find value for money. On the last night we found three course meals (with limited options) for €10-€12 with okay food. Crepes and pastries were of course great! Free wifi was again plentiful. Pretty much all restaurants and museums had it available. 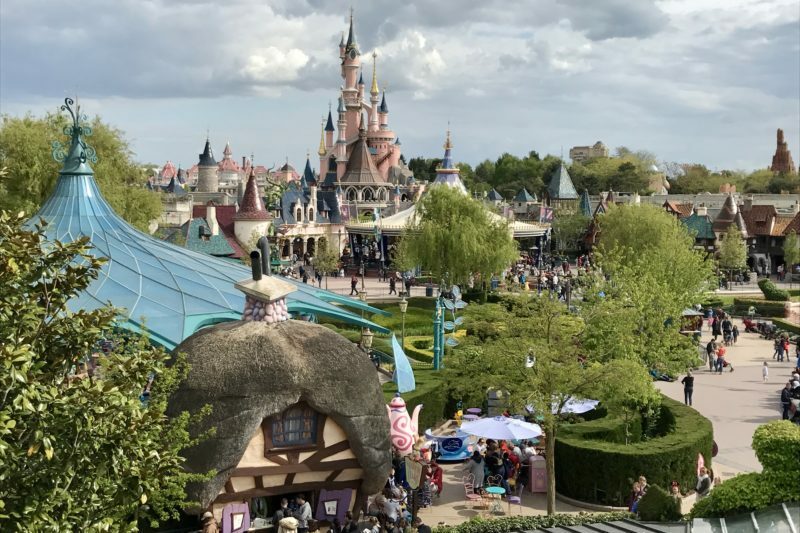 The longest we were “offline” was at Disneyland, but I noticed even there the ticket office was hiring portable wifi devices for €7.50/day. 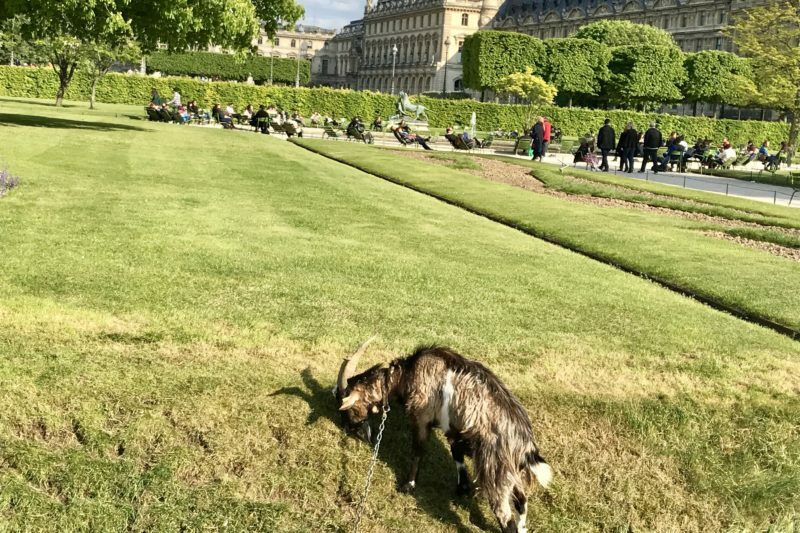 Paris, je l’aime beaucoup! A magic, marvelous city. Been three times and would happily go back. Sorry to hear of the rain and the crowds taking the shine off. I showed my daughter all my favourite places – in midsummer – and she did not love it. But we have a fund of travel tales. My wife and I spent a week there in 2008. In a tiny boutique hotel next to Notre Dame. Spent a lot of time wandering around the Latin Quarter, discovering all sorts of great little places. Including Shakespeare and Co.
I’m hoping to give the place another go next April. See you there! Thanks Pete! 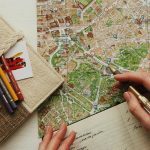 Maybe you can show me some of your favourite places next year too! I’ve been to Paris a couple of times and feel quite similarly to you. There is an awful lot do see and do there, at least. Going in the winter time meant the crowds were a bit easier to deal with… not by much. 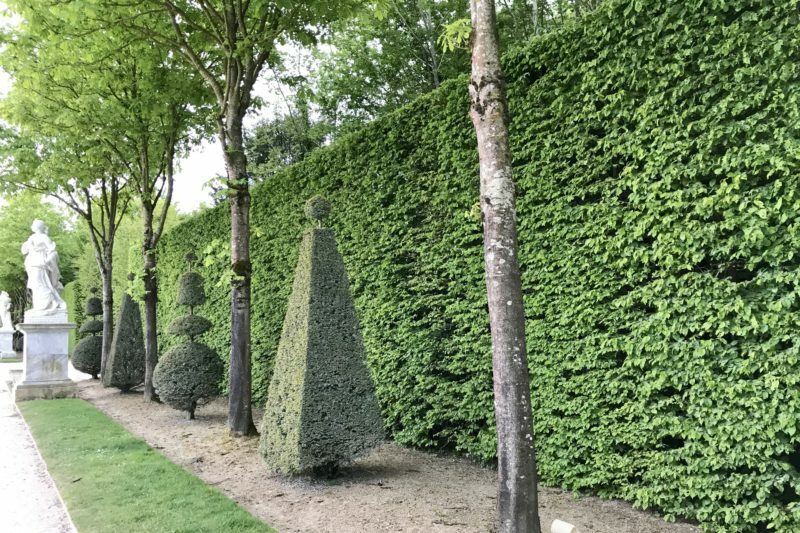 I remember reading somewhere that the nobles used to piss on the wall in Versailles, which takes the glamour away just a bit! Most of those nobles were pretty gross! In fact, I think it is still the same today! In the first day we twice saw someone peeing on a wall in public! Hmmm, we had croissants, we had coffee, we watched the world go by, but not all three at once! will enable you to walk virtually straight onto the ride. Chantilly. Worth mentioning is the fun nautical theme, which can be quite fun especially for children. 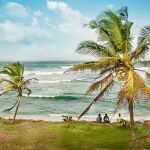 Great blog and good description! I wonder how you’ve the time to write this all. Next time you visit Paris try to visit the Tour Montparnasse (https://www.tourmontparnasse56.com/de/). 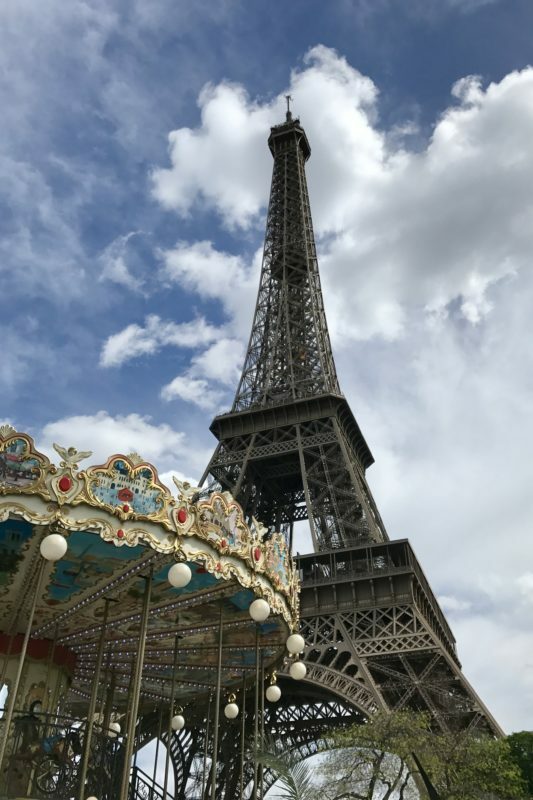 It’s easy to visit not to crowded and you got the better view because you see the Eifel-Tower,too. Paris in summer is magnificent. 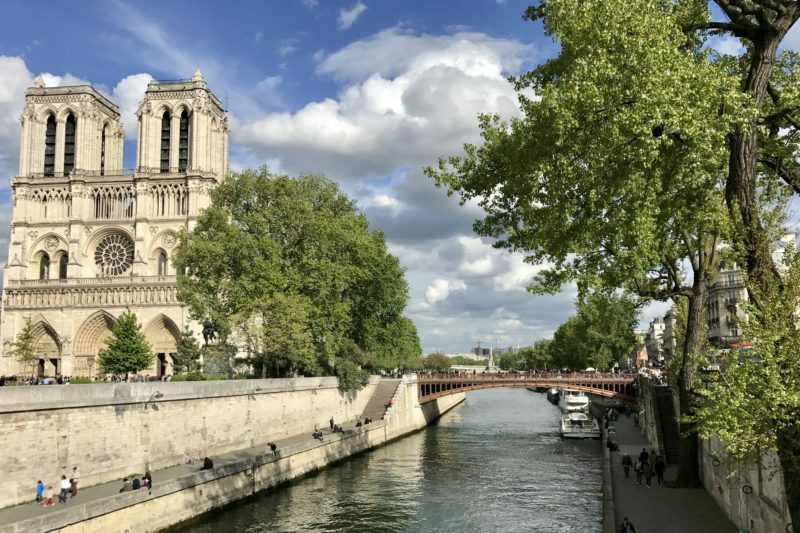 You can dance at the banks of the Seine, Tango and Salsa. Or just watch the people dancing and enjoy the music. Sometimes I wonder the same thing! I plan to be back in France in April next year, so I will keep Montparnasse in mind for then! Thank you! 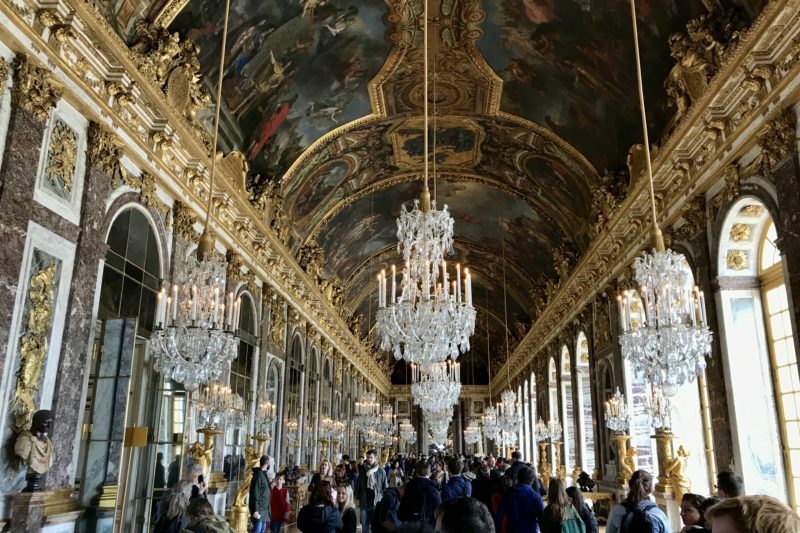 Your photos are so lovely and Versailles looks marvelous, but that crowd is a little disappointing. I actually haven’t heard from a traveler who’s been to Versailles and didn’t encounter a huge crowd like that. Thank you Therie! I quite possibly underestimated exactly how busy it would be. 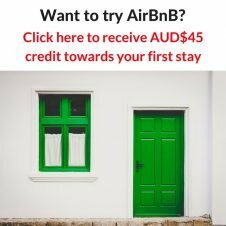 In Australia, a long wait would be 15 minutes! We never get queues like that!